As you consider your business relationships, it is imperative to strive to keep the client, or customer happy with their experiences when interacting with your company. 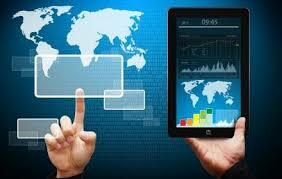 Making the payment process streamlined is an important attribute of any successful company. Technology is quickly changing and can be overwhelming. Certainly, you want to always utilize consummate professionals at every level of your financial process. Finding these professionals may not always be easy, however it is critical. Outsourcing: In order to simplify the process of faster payments for your clients, evaluate which portions of your financial process can be outsourced to qualified professionals. This is how you can always ensure that your company remains on the cutting edge of technology. Outsourcing items such as payroll or payment processing comes with the benefit of removing one or several time-consuming tasks from your agenda. Since these venues are in the business of ensuring your business runs efficiently they will excel. 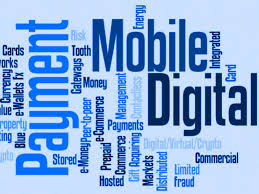 NFC Based Mobile Payments: Near Field Communicator has been on the market for a few years now and allowing your customer base to utilize this payment method can only be a good thing for your bottom line. The technology involves two devices (i.e a smart phone and a terminal with an embedded NFC chip) to communicate with each other. If you haven't used the technology yourself, you have probably seen it at checkout. Most smart phones are being manufactured with this technology and many stores are on board. Depending upon the type of business you own, it would be a great option to explore. Payments can be made for any type of monetary exchange. Faster Payments Technology: You also want to ensure your in house finance process is up to speed so that if you need to make client payments, you can do so in a timely manner without complications. Making electronic payments has been streamlined significantly with the introduction of the faster payments service. Faster payments is a cloud based piece of software which is ideal for making last minute and same day payments. If you want to keep your clients satisfied, this is essential. Same Day ACH: Allowing your customers to make payments using Same Day ACH will be of benefit to you and to your client. Same Day ACH (Account Clearing House) is what is already in place currently. The mandates have changed and now the clearance time will shorten from 2-3 days to the same day. The changes have started to take effect already to the pre-existing system. The initial phase of the change was implemented in September 2016. This will make finances move quickly and more efficiently. QR Code: The barcode system has been around for several years. This is a system that keeps on expanding and becoming better. Scanning methods are less time consuming and literally the method transcends wait times on order processing. Bar codes have been used on smart phones and other applications all in the move toward going completely paperless, and plastic-free. Clients who are allowed to make payments or place orders by scanning a barcode and having money instantly transferred out of their account will undoubtedly enjoy the experience. It is clear that payments technology is becoming more and more advanced, and those who don’t keep up with the trends will only fall behind their competitors. Staying up to date and learning about what’s available on the market is crucial. The bottom line is that your bottom line is contingent upon the success of the relationships you develop and then maintain with your clientele. If you make their lives easier by making how they gain access to your goods and services faster, it will build a stronger relationship. If you add the secret ingredient of efficiency in the payment transaction you are guaranteed a satisfied customer who is going to want to come back and experience the encounter again and again. Because great customer service is something that is basically lacking worldwide today, they will tell their friends and family about the resource they found. Business to business works the same way. Your company will gain a reputation for efficiency and the rest is history.